A historic season for FC Barcelona as a club; the five professional sports teams won their respective Copa del Rey competitions, something that had never been done before at the Club. 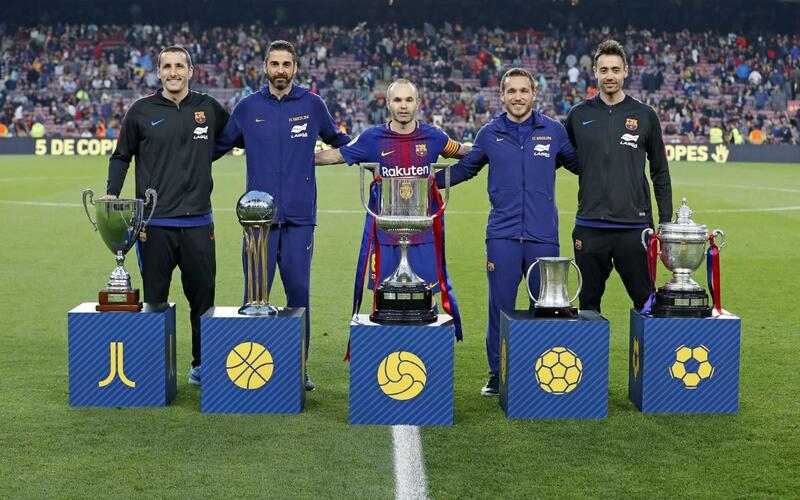 To mark the achievement, the football, basketball, futsal, handball and roller hockey teams all came out on to the field prior to the warm up in the Barça vs Villarreal clash at Camp Nou to commemorate the occasions with a group photo that included the trophies won. Just before kick off the handball and futsal teams, both cup champions just last weekend, offered up their victories to the Camp Nou crowd just as the basketball and roller hockey teams did months previously.